1. Does using batesville.ericsjobs.com cost anything? Our services are free for job seekers. You can browse and apply for job listings at no charge. To access the site, simply Register and create an account. 2. Do Employers see my email address? YES! Make sure your email address is appropriate for an employer to view. That means the email you register with us, is the email the employer sees. 3. Can I change my email address after I create an account? We use the email address with which you register to keep track of your account. It is also the address we use to notify you of new opportunities and happenings. If you would like to change your email, you must email us changeemailaddress@batesville.ericsjobs.com with your old email and the email you'd like to change to. We will assume that you'd like your password to remain the same. If not please supply us with the password you would like to update your account with as well. 4. How do I unsubscribe from your services? You need to email us with your email address that you have registered and we will unsubscribe you. 5. Why are some jobs highlighted? The jobs that are highlighted are to catch your attention. Employers can upgrade to a bold/highlight on their ads so they will get more response for their posting. 6. Why are some jobs posted as confidential? There are many reasons why a company will post confidential. We cannot tell you the name of the company if you ask. This is easy. Simply visit our Password Reminder Page. Enter your email address in the field and we will mail your password to you. 9. How do I know if the job has been filled? Typically if the position is no longer open, the Employer will either retire the job themselves or ask us to retire it. Our ads run until the expiration date or when an employer takes it down. Just because it's an older ad, doesn't mean the job has been filled. 10. Why do I keep getting sent to a blank screen after I hit the "apply for this job" link? You need to have a resume saved in your account in order to apply for jobs. There is a step by step on how to add a resume in the job seekers FAQS. 11. There is no APPLY link on a job ad, why? Some Employers have special directions they want you to follow to apply for the job. You need to make sure you are reading the ENTIRE ad, to be sure you know how to apply for the position. 12. Can I just post a resume? We offer employers the opportunity to find you through our resume database. Simply Register and create an account and enter your resume from your main menu. 13. How do I add my resume to the resume manager? Log in to your account using your email and password. You will now be brought back to the manage resume page. You are finished. We also created a How to Copy and Paste pdf on the site for visual help. Please download the pdf for more help. You can view this pdf by logging in to your account, clicking on My Resume on the blue toolbar at the top of the page and clicking on the How to Copy and Paste your Resume link at the top right side of the page. 14. What about a cover letter? When applying online for a position, you will have the option each time you hit APPLY for this job, to attach a plain text (ASCII) cover letter. Follow the instructions just as you would for your ASCII resume. You will be able to change your cover letter to pertain to each position you are applying for. 15. Can I have more than one active resume? No, our system does not support more than one "active" resume at a time. Employers search the resumes by keyword, so make sure your "active" resume has all the keywords that you'd like to have Employers find you with. 16. What is an ASCII resume? An ASCII resume is a plain text resume that can be opened without using a word processor like Microsoft Word. Many employers prefer plain text as it is easier to store in databases and retrieve for later use. For help on ASCII resumes, visit our page on ASCII resume help. 17. Will my resume look the same as it does in a Word Document? No! Since we store resumes as text-only and do not allow HTML, all special formatting from a Word document will be lost. Make sure you check your resume once it is added to see that it is formatted properly. 18. I dont want my current employer to know Im looking for a job. Will all employers see my resume or just the employers who have posted jobs that I've applied for? When applying for jobs, make sure that you UNCHECK the box in your resume manager that says: Check to make this resume searchable to employers. ALSO, when you go to apply for jobs and you click the APPLY link, your resume and cover letter will come up again. Make sure you UNCHECK the box that says: Check here to make my resume searchable by employers (above the cover letter field). By un-checking both of these boxes, you resume will not save in our resume database and employers will not be able to see it. 19. How do I update my resume? To update your resume, log into your account using your registered email and password. Go to your resume manager, click on view/edit if the resume is active, make any changes in the resume, then click update. Your active resume will now be updated. 20. How can I see what I have sent an Employer and How do I know an Employer received my resume? 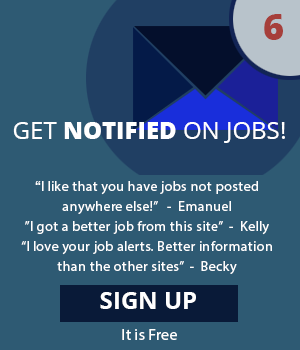 When you are logged into your account, on the left-hand side of the page, you will see "applied jobs" click on that link and it will show you all the jobs you have ever applied to and what you sent into each specific Employer. 21. I submitted my resume and haven't heard anything, why? There can be many reasons that an Employer doesn't get back to you. From our experience, employers have so many resumes to go through they will only respond to resumes in which they are interested. 22. Can I submit things other than my resume and cover letter to Employers? Employers expect only serious job seekers to apply through batesville.ericsjobs.com. If you are not a job seeker and try to solicit employers through our site, we will delete any communication that is not approved. Our employers are encouraged to let us know if they are solicited through the site. 23. How do I change my resume to a current one I've revised? In your resume manager under the 'non active resumes', you will see the title of the resume that you want active, just to the right of that you will see edit/ make active. Click on 'make active' and it will automatically make that selected resume active. 24. What if I want to contact the employer about a job, but they dont have their contact information on the job listing? Employers sometimes do not include their contact information to avoid unwarranted phone calls and drop-ins about the position. If a position is listed as Confidential, then we cannot give you any information about the employer. If you are interested in the position, we suggest applying for it. 25. I get emails about job listings that dont match my skills/resume. Why? The Job Agent is on an automated system that matches the categories you have checked in your Job Agent Settings with the categories that employers check when they post their job. If you are receiving too many alerts from jobs that are not closely related to your field, you can try narrowing down the categories in your Job Agent Settings. If you are not receiving enough job alerts, you can try broadening your categories by selecting more. You can do either by logging in and clicking on Job Agent on the right side of the blue toolbar at the top of the page. You can opt out of all Job Agent emails by un-checking all of the categories, however, the less categories you have checked, the more limited your notifications become. Please also note that every employer classifies jobs differently. For example, you might be receiving job alerts for a Nurse position even if you dont have the Healthcare-RN category checked in your Job Agent. Its possible that the employer might have checked the Admin/Clerical category for that job as well, and you received an alert because you have the Admin/Clerical category checked. 26. When I click Apply for a job, Im taken to another website. Why? Our site also includes jobs from Indeed.com, another job search site. If you are taken to a website that has Indeed in the URL, then the job is not directly from our site. If you have questions about that specific job, please contact Indeed.com. You can tell if a job is from Indeed if the location says something like USA or has very minimal information (less than two sentences). 27. Why havent I heard back from employers? Because of the overwhelming number of job seekers, employers dont always have time to respond to all of the applicants who apply to their positions. 28. Im getting job alerts for jobs that are not close to where I live. We are aware of the location issue with our Job Agent. Unfortunately, we do not currently have a way to separate job alerts by specific location. However, we are currently working toward improving our system. You can opt out of all Job Agent emails by logging in, clicking on Job Agent on the right side of the blue toolbar at the top of the page and un-checking all of the categories. However, the less categories you have checked, the more limited your notifications become. 29. I think this job might be a scam. What do I do? In an effort to be a one-stop-shop for all of the local jobs, our website is linked with Indeed.com. If you applied for a job and were taken to a website that has Indeed in the URL, then this job is not directly from our site. If you have questions or concerns about this specific job, please contact indeed.com. 30. How do I follow up with an employer? We suggest following up with an employer directly about a position. If you are not contacted by the employer within two weeks of submitting your resume, you may want to follow-up with them. If an email or physical address is listed, try sending a note asking for the next steps in their recruitment process. If employers dont list any contact information or the posting says No phone calls, then follow instructions and dont follow up. If you have already interviewed with a company, remember to send a personal thank you card or email thanking them for their time and reiterating your interest in the position. Before you leave the office after your interview, make sure you ask what the next step in their interview process is so you know when to expect their decision. 31. None of these answer my question! Please review this page again to make sure your question has not been answered. If your question has not been answered by this page, please email us at Suggest@batesville.ericsjobs.com. If you need to speak to a representative, please call 800-225-1372.